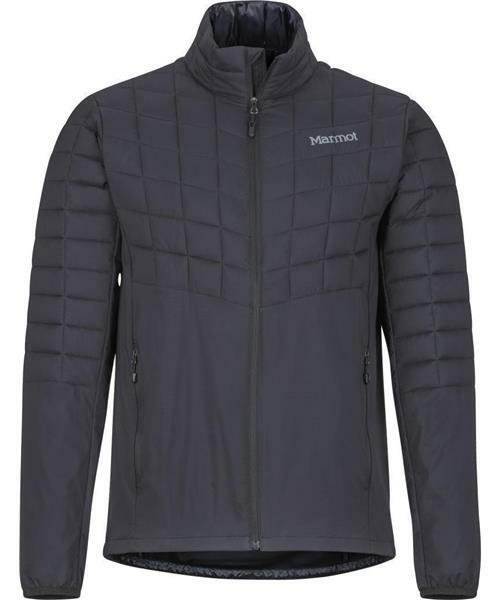 The lightweight Men's Featherless Hybrid Jacket will keep you warm and dry in chilly, damp weather without weighing down you or your pack. 3M™ Thinsulate™ Recycled Featherless Insulation is made with 75% recycled loose-fill fibers that feel just as warm as 700 fill power down, but still perform in wet conditions. DriClime® Bi-Component lining wicks away moisture to keep you dry.